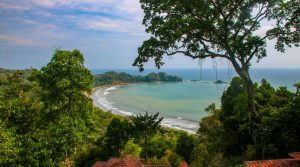 Exclusive home listings for sale in Costa Rica that you won't find anywhere else. Sign up for email alerts for updates. This beautifully designed home sits on 1.25 acres and checks all of the boxes buyers are looking for in a home. 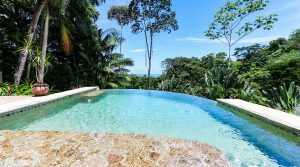 Ocean views, infinity pool, spacious bedrooms, outdoor entertaining spaces, rainforest zone with a river, lots of wildlife, private community, and an excellent location minutes from downtown Uvita and the beaches of Bahia Ballena. Mountain home with river frontage on 25+ acres. Conveniently located minutes from downtown San Isidro. 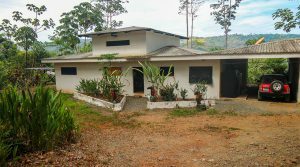 Includes main home, guest house, caretaker’s house, pool, jacuzzi, and an organic hobby farm planted with coffee and fruit trees. 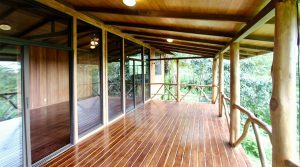 Awesome property for someone looking to live a healthy, self-sustainable lifestyle in Costa Rica! Sitting on 2.33 acres is this beautifully landscaped property overlooking the mountains and valley of San Isidro. The property comes with a starter home, building site, and a lot of mature fruiting trees. Enjoy the cool mountain breezes and farm fresh produce every day of the week in this quaint little farming town. This 6.17-acre property includes hospitality business facilities and a private single family home with ocean views. On the land are multiple furnished rental units, a restaurant, swimming pool, internal hiking trails, and yoga platform. There are 13 total rooms and 13 bathrooms. Easy access and minutes to the beach. 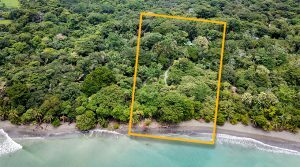 Teeming with exotic wildlife, this “Off the Grid” beachfront retreat includes a 2 bed / 1 bath main home, 2 bed / 1 bath rental cabin, and a caretaker’s home on almost 5 acres 8km south of Puerto Jimenez. Private walking paths lead right to a beach where the tropical waters are inviting and you will not find another human footprint in the sand. A business partner jumps ship, leaving the other short of funds, which equates to an unfinished vacation rental home. 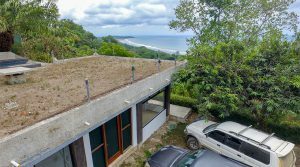 About 50% completed, the home above Playa Hermosa features one of the best front row locations you will find on the South Pacific Coast. All preliminary work completed with legal water, permits, and designs in hand. 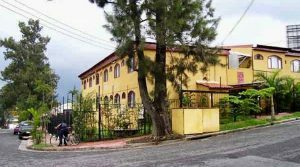 Turnkey and profitable apartment building for sale featuring 16 furnished units, a rental office with kitchen, and a beautiful courtyard area. An ideal residential option for students and professionals with a strategic location near the University of Costa Rica, Latina University and downtown San Jose. One of the more affordably priced ocean view homes in the area, this listing includes a move in ready 4 bed / 2 bath main home with a separate 1 bed / 1 bath caretaker’s home on a private 1.72-acre property. 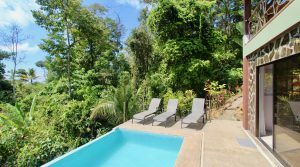 Beautiful rainforest setting with a seasonal creek and a great location minutes from downtown Uvita and the beach. Affordable cabin home made of durable hardwoods in a beautiful forested setting. 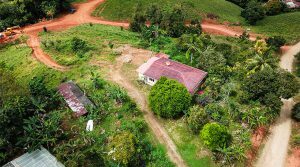 The 3.18-acre property is situated inside of a tight-knit organic community called Fuente Verde in the Las Tumbas / Tinamastes area. If you are a buyer looking to live a self-sustainable lifestyle while learning from other like-minded people, this is the place for you.